Let it Grow, the first incubation program focusing on flowers and plants, selected their next round of candidates. The 8 finalists recently started their program. Last spring Let it Grow made a call for open innovation, which resulted in 69 applications from 15 different countries. A renowned jury was challenged to pick the 8 finalists. All startups promise to have a positive effect on the quality of life in the city through the use of flowers and plants. “It’s amazing to see how many entrepreneurs are making a difference with flowers and plants in an innovative way to make the world happier and healthier! And so many foreign entrepreneurs come to our country for our network and expertise. That says something about the Netherlands as a world leader in the ornamental field” says Silke Tijkotte, founder Let it Grow. During the five months of the program, all startups receive intensive training and coaching and instead of a standard demo day, they will show their results during Let It Grow Festival, where the audience consists of investors and also over 1000 consumers. No pitches or presentations, but a working product or service. 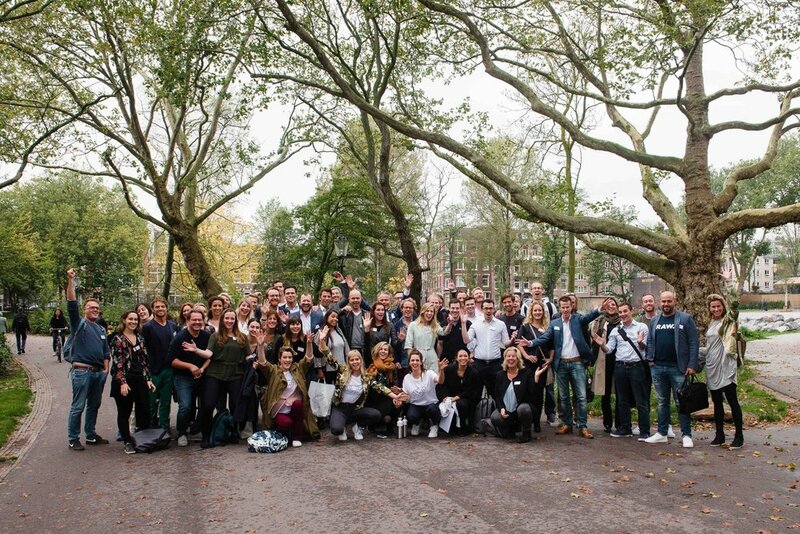 The first class of 2016 had three major winners, Living Light from Emi van Oers, Sprinklr who recently raised €150.000 investment and ConnectedGreen, finalist for the Accenture Innovation Awards. Bloombox Club offers subscriptions for both indoor- and outdoor plants, so no matter how you live, everyone can enjoy plants. They strongly believe plants have a healthy effect for humans and by making it easier to buy plants, they encourage everyone’s well-being. Clorofille is convinced ‘green’ can grow and flourish everywhere, even in the city. Therefore they develop urban do-it-yourself agriculture kits. By growing plants yourself, you can grow your own soap, drinks, paint or eatable plants with Clorofille. They also organise workshops to teach how to make candy or music instruments from plants. Besides the aesthetic side of plants and flowers, they emphasise the positive effects of living in a green(er) environment. Overlap is a very early stage plant- and tech company (without a website even), using artificial intelligence tools to solve industrial problems. In addition, you can identify every plant via their app by simply snap it with your camera. If it suits your style and the caring instructions, you can purchase it and have it delivered at home. Another subscription service, but for flower boxes in institutions and companies, originated from the remains of the flower bulb cultivation. Consistently replacing them guarantees always blooming flowers and an ending of the waste of bulbs. Blumixx offers the easiest green solution for urban residents. The custom made Blumixx-Bag is a ready to go plant subscription. The blooming plants are packed in an organic net, delivered home and suitable for every plant box, location and in every requested color available. The Flower Family has an app that lets you buy a bunch of flowers with a fair value. Flowers are bought from local farmers, the bouquets are made by people who are distanced from the labor market and eventually delivered to you by an electric courier. Together, we are flowering a better world, is their credo. creëert dranken van wilde en geurende bloemen, aromatische kruiden, vruchten, zaden en bladeren, which are picked by hand and grow in both urban and rural undeveloped surroundings. Mama Botanica takes her herbal advice to social media, to support the audience to do more with ‘greens’. By sharing knowledge and tips about plant maintenance and organising on- and offline workshops, she hopes to grow a new generation of so called ‘green fingers’, a Dutch expression for people who know how to handle their plants. Let it Grow is an ambitious innovation platform, initiated by Royal FloraHolland, world’s largest flower- and plant auction. Let it Grow and Royal FloraHolland share their expertise through the incubation program and offer 5 months of training and mentorship and €10.000 per team, to help their ideas grow into green reality.